The Brego Foundation offers transformational healing programs for veterans who are working towards integrating back into civilian life. We offer this at no charge to the veteran and support our programs through donations and grants. 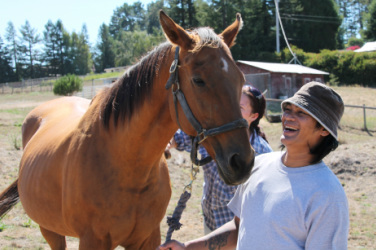 There are a number of programs today that offer some type of animal assisted healing for veterans. Many of these former soldiers who are struggling to re-integrate back into civilian life, constantly bombarded with a different type of sensory overload, benefit significantly from the constant presence of animals - such as service dogs. Research is now showing that the hormone oxytocin is playing a big role in the path to healing for veterans, particularly those suffering from Post Traumatic Stress disorder. It is somewhat unfortunate that oxytocin has been given the label, the "love hormone" as it has been primarily identified as the hormone secreted during breast feeding by mothers. This hormone, however, is far more active in the human body independent of nurturing types of activities. The research of Dr. Paul Zak has shown oxytocin is secreted even in the simple act of hugging. For many veterans, however, getting in close proximity to other people can cause a significant spike in an already overloaded "fight/flight" response. 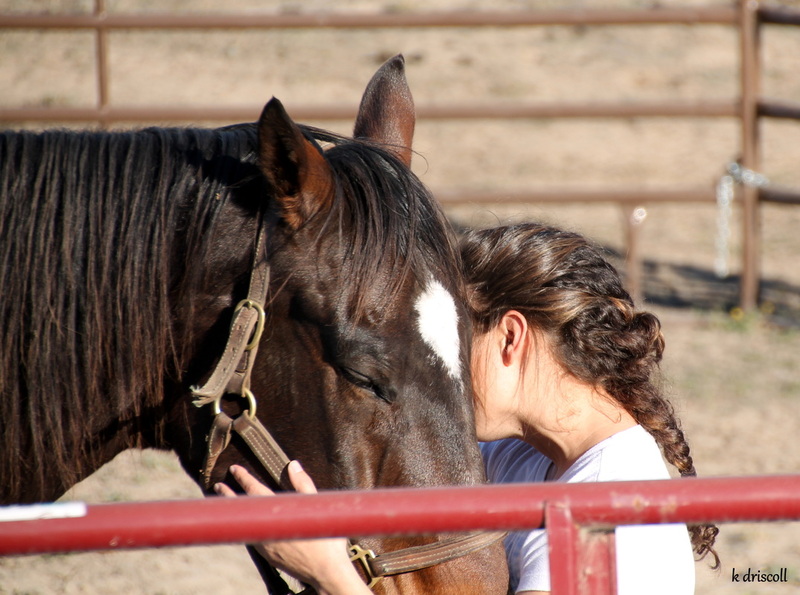 Animals, and in our case, horses, may raise oxytocin levels at a distance, transforming the fight/flight response into the tend and befriend/calm and connect response, dialing down over time the heightened vigilance of the nervous system cause by PTSD and other trauma.